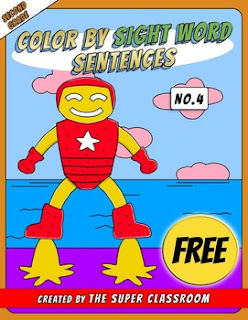 With this cool puzzle your students will not only practice their basic sight words but also enjoy coloring! RF.2.3.F: Recognize and read grade-appropriate irregularly spelled words. The sentence will help the student figure out the word from the context! I include the puzzle in black and white. I also include a full color version of the puzzle which you can use as the answer key. That makes a total of 2 pages.